Born in Croatia and spending her early school days in Germany, before moving to Canada in 1973 with her family, Dr. Bacic is well versed in Croatian, German and English. Dr. Bacic graduated from the University of Western Ontario with a Bachelor of Science degree in 1987, continuing her studies at University of Toronto she obtained her Doctor of Dental Science. Dr. Bacic is an active mother of four children. She has struck a balance between a fulfilled family life and ever evolving professional career. With unconditional support from her extended family, she has been able to pursue and achieve her goals and dreams. One of the most popular procedures for clients with chipped, cracked or misaligned anterior teeth. Veneers are thin tooth-coloured porcelain that are bonded on the front sufrace of the tooth. They are resistant to chips, stain and also decay, keeping your smile beautiful permanently. Full mouth implant reconstruction or single tooth implant replacement. Implants replace the entire crown & root of a tooth. Implant dentistry allows artificial teeth to be secured below the gumline using a dental anchor. The new tooth that is set below the gumline allows new bone and tissue to grow around it, indistunguishable from the natural teeth. The benefits include improved appearance, comfort speech & self esteem. All dentures are removable and have a tendency to move. They can replace a whole arch, or one to several teeth. They are designed and created to fit the patients mouth. Partials are held in place by precision devices, clasps that are discreet and tooth-coloured. Both partial and full dentures are made to look natural using the latest artificial teeth and acrylics. Bonding can be used to replace cracked, chipped and sometimes misaligned teeth. It is a relatively simple procedure and an excellent option for patients who wish to improve their smiles. Bonding is a thin coat of plastic or resin that is permanently bonded over existing teeth. It is also resistant to decay and stain. Crowns (cap) are used when a tooth is heavily restored or if a root canal has been previously done. Crowns provide a strong cap surrounding what is considered a fairly weak tooth. 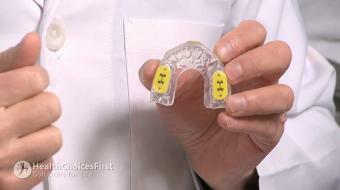 Bridges are a strong permanent solution designed to fill in gaps left by missing teeth. We reduce the size of the teeth on both sides of the missing tooth, these act as the supporters for long term success. The bridge is made of durable, natural-looking material that is also resistant to stains, chips and decay. The fillings are permanently bonded to the tooth to treat cavities. The natural looking colour makes the treated teeth nearly indistinguishable from the others. It is an excellent option to those who want to replace their metal fillings. Years of smoking, coffee, cola drinking and other factors can leave your smile less than gleaming. Our office offers both in-house bleaching and take home kits. In the office the bleach is applied to your smile and in 45 min. your teeth are lightened, however it will not change the appearance of existing fillings and crowns. Take home kits are ideal for those of you who wish to whiten your teeth in the comfort of your own home. The kits come with a customized tray to fit your mouth and bleaching gel. You apply the gel to the tray and wear it for approx. 1 hr/day until your smile reaches the desired shade. If you are in need of a root canal, there has been damage done to the nerves and soft tissues inside your tooth. The soft tissue is removed to end pain, sensitivity and recurring infection. Patients who need teeth removed so that they can chew properly, or teeth that need to be straightened to create a more beautiful smile can be done using orthodontics. Everybody is different so the treatment can take anywhere from 3 months to 2 years. Our office also offers Invisalign, a new treatment using trays instead of brackets. More information on Invisalign can be provided at the office. Sealants are a very thin layer of white filling material that is bonded to the pits and fissures of the biting surface and prevents the teeth from getting cavities. It is an excellent way to reduce the incidence of decay in a young persons mouth. The speaker in the video may have no association with ( Dr. Berta Bacic, General Dentist, Burlington, ON ). ( Dr. Berta Bacic, General Dentist ), may talk about some of the conditions and some of the treatment options shown in the videos on HealthChoicesFirst. Always talk with your health care practitioner about the information you learnt from the videos in regards to treatments and procedures the healthcare practitioner could perform and if they would be appropriate for you. Remember good information is the corner stone to understanding your condition or disease. Please contact ( Dr. Berta Bacic, General Dentist, Burlington, ON ) to enquire if this health care provider is accepting new patients. 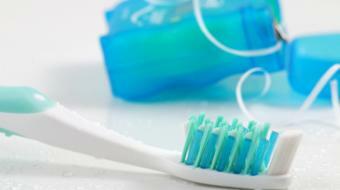 How Does Bulimia Affect Your Teeth and Gums? Did you know that part of Managing a Type 2 Diabetes Diagnosis has to do with your teeth? Your dentist may be able to uncover associated conditions such as diabetic retinopathy and gum disease. To find out more, talk to your General Dentist in Burlington, ON, such as Dr. Berta Bacic. 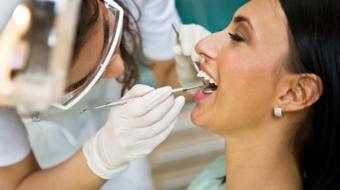 A dentist is a medical professional who specializes in the care of the teeth, mouth, and gums. A dentist performs regular dental exams and cleanings in addition to providing services which may include cosmetic dentistry, gum disease treatment and root canal therapy. Also, a dentist can provide care to patients with conditions such as diabetes. In treating patients a dentist can also educate them on oral cancer screening, brushing and flossing, bruxism, teeth whitening, tooth bonding and porcelain veneers.